This video course is for photographers of all skill levels interested in expanding their photography and post-production knowledge to make great astronomy landscapes. 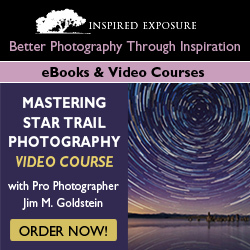 The course includes 4 hours of instruction and professional tips covering every aspect of star trail photography including gear selection, camera technique, post-processing and more. BONUS: Receive a FREE copy of the eBook Photographing the 4th Dimension — Time with your webinar recording purchase.